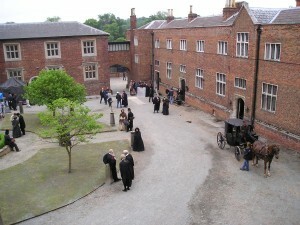 This BBC A dramatic thriller set in Victorian England. It tells the story of the beautiful but icy Lady Dedlock (Gillian Anderson). Nursing a dark secret in her past, her merciless lawyer Tulkinghorn seeks to uncover it. Running parallel to the central story, the generous John Jarndyce struggles with his own past and takes in two young wards Richard (Patrick Kennedy) and Ada (Carey Mulligan). Like the infamous Lady Dedlock, all three are caught up in the case of Jarndyce Vs Jarndyce, a court case many years long that is yet to be resolved. When it is, the winning party will be rich beyond all imagination. The two young wards are accompanied by Esther Summerson (Ana Maxwell Martin), a woman of questionable background. Told she will never amount to anything, is she the key to Lady Dedlock’s secret? First published in 1852, the novel was released in 19 instalments. To mirror Dickens’ original dramatic storyline and typical cliff-hanger endings, the TV adaptation was comprised of a one hour opening episode with subsequent 30 minute programmes lasting for 14 episodes. The programme was shown twice weekly in 2005 on BBC 1 and is now available to buy on DVD. The BBC adaption stars Gillian Anderson (The Fall, Johnny English Reborn), Ana Maxwell Martin (Becoming Jane, Philomena), Carey Mulligan (The Great Gatsby, Suffragette), Charles Dance (The Imitation Game, Ghostbusters), Patrick Kennedy (Atonement, War Horse) and Denis Lawson (New Tricks, Broken). 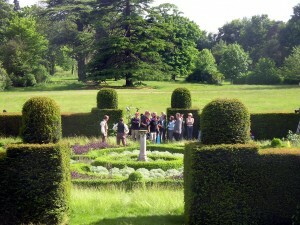 Cobham Hall is a private boarding school near to Gravesend located in 150 acres of Grade II listed parkland. The interiors boast a stunning ball room, library, cobbled courtyards, formal gardens, classrooms as well as sports facilities, including a swimming pool. 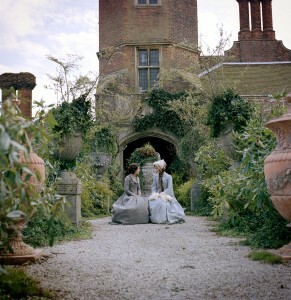 Cobham Hall is a popular film location having previously been used for Hetty Feather series 1-2 (2012), The Great Fire (2014) and Wild Child (2008). Bleak House was shown on the BBC in 2005 and is now available to buy on DVD. 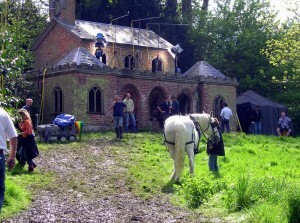 This entry was posted in Filmed in Kent and tagged Bleak House film locations, Charles Dickens, Cobham Hall, TV Drama. Bookmark the permalink.